please contact me via my profile. 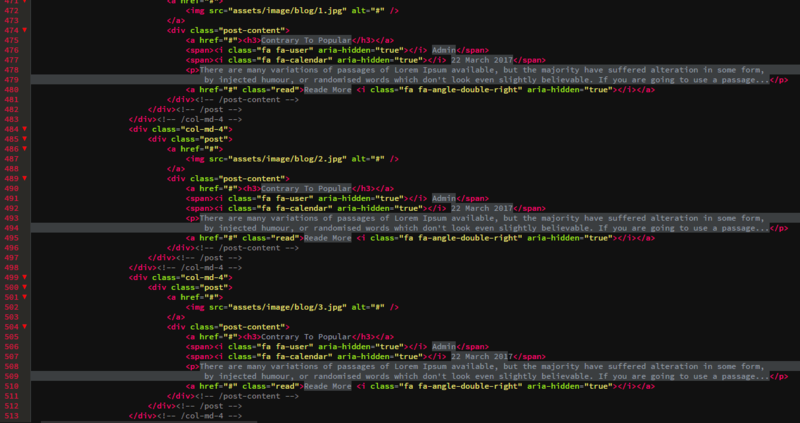 Then open the assets/css/style.css file using any text editor. I recommend Brackets Text. 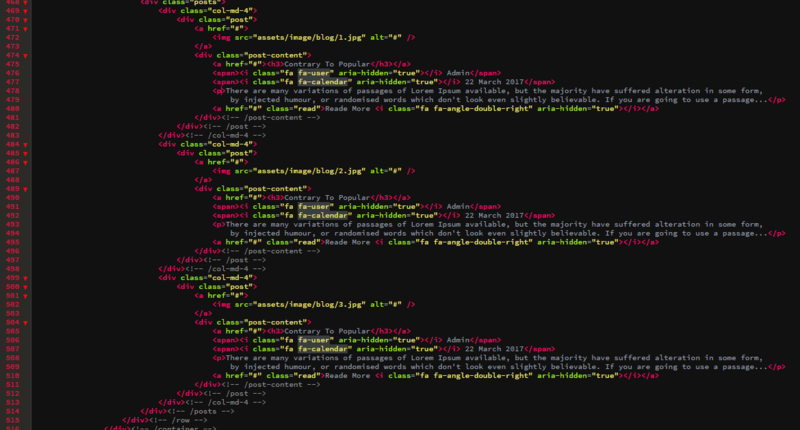 Now look for the following code and replace highlighted text with your (imageName.extension) like (photo.png or photo.jpg). To edit the text in the 'header' replace the highlighted text in the following code. 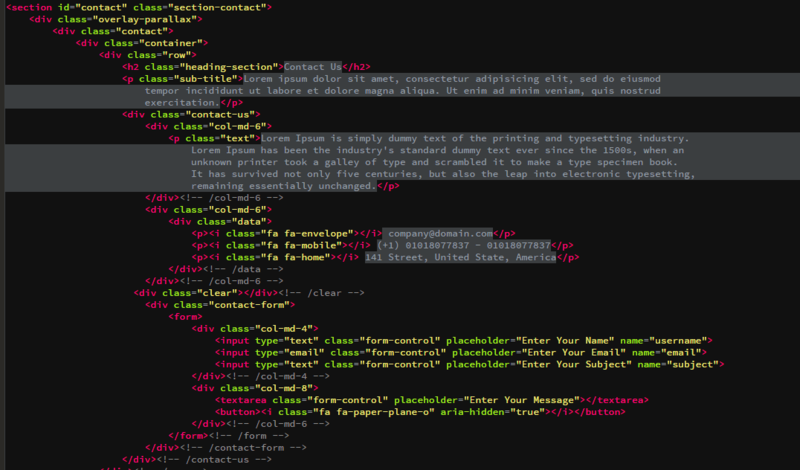 To edit the text in the 'About Section' replace the highlighted text in the following code. &ocir;&ocir; You can use <br/> tag to make a new line. &ocir;&ocir; You can also edit an image and change your personal information. &ocir;&ocir; You can get more icons here. 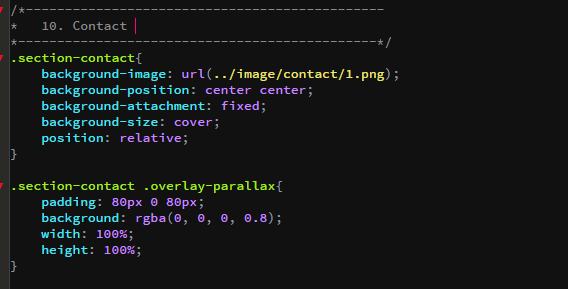 Now you can replace the highlighted Text in the following code with your (imageName.extension). &ocir;&ocir; the image in the <img> tag is the same in the <a> tag. Replace the following code with the categories of the images. &ocir;&ocir; the image can have more than 1 category. To edit the text in the 'Testimonials Section' replace the highlighted text in the following code. then (inside index.html file) replace the highlighted text in the following code. 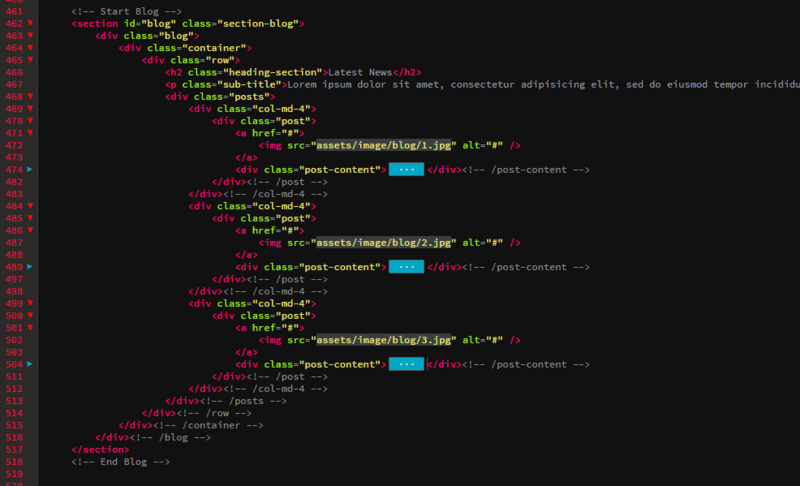 To edit the text in the 'Blog Section' replace the highlighted text in the following code. If you want to change the icons replace the highlighted text in the following code. To edit the text in the 'Contact Section' replace the highlighted text in the following code. if you want to Put an image as a logo. put your images (recommended size 100px * 100px) in 'assets/images' folder. Then add this <img src="assets/images/logo.jpg" alt="logo"> as shown in the following code. &ocir;&ocir; You can get more icons here And Text. &ocir;&ocir; put the URL link of each website inside the href attribute as shown in the following code.